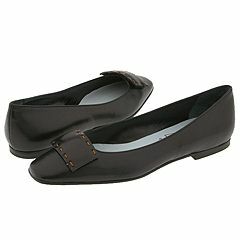 Manolo says, here are the pair of the simple, classic Cynthia Rowley flats that the Manolo finds most attractive. 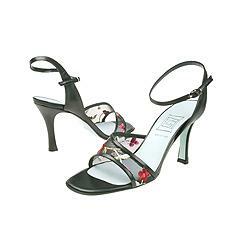 These they are perhaps something you might wear with the light sweater and the a-line skirt that would twirl about you fetchingly as that handsome blonde man spins you across the floor for the last dance of the summer. Manolo says, the latest column of the Manolo, it is available for the downloading at the website of the Express of the Washington Post. The topic it is the wedding on the Vermont lawn. I’ve been invited to a friend’s wedding in Vermont. The ceremony and the reception will be outdoors, on a lawn and I’ve been advised it will be “semi-formal”. Please help me. Manolo says, what could be more possibly romantic and New Englandy than the outdoors wedding in the Vermont. Such natural beauty, such interesting peoples! Indeed, one imagines the reception with the hairy Birkenstock-wearing guests clomping over to the cheddar cheese fountain, their dogs next to them wearing the semi-formal bandanas, and mira! There is the bride! Is she not stunning in her couture L.L. Bean gown? Of the course, all is not perfect in this Northeastern paradise, especially if the Brittany she must herself traipse over the typical Vermont “lawn”, the word which in other places might better be translated as “the pasture”, or perhaps, “the swamp”. Thus the shoe of the Brittany must have the stylish wedge heel, so as to prevent the sinking. And it must also be somewhat sturdy, as maybe later there may even be the “barn dance” featuring the Phish cover band. Here, then is the Tassel from the Cynthia Rowley, the handsome suede wedge in the light green that will look good no matter what the Green Mountains bring. Manolo says, the Manolo continues to be obsessed with the wedges. Here are yet two more from the Cynthia Rowley. On the left is the Trader which has the tweed covered wedge heel and the most attractive suede uppers. On the right is the Theron which has the wonderfully odd painted cork heels. Are they both not indeed super fantastic? Manolo say, the most recent column of the Manolo for the Express of the Washington Post it is now available for the downloading. Today’s topic? What else? Wedges! My sister, the Imelda Marcos of our family, has informed me that wedges are in. Can you show me a wedge worth buying? I’m dubious. Manolo says, once again the vagaries and whims of fashion have caused the rift between the members of the family. Manolo presumes that when Grogga the Cavelady tried on her new off-the-shoulder sabertooth tiger robe, her sister Ooga announced that the saber tooth was “so last eon”. After which ensued the spirited family disagreement, contested vigorously with the clubs and the mammoth femurs. Sadly, variations of this scene have been repeated down through the ages. And so, once again, what falls to the Manolo is the unpleasant duty of informing one of his many friends that her know-it-all family member is correct. Wedges are indeed most in this year. Likewise the Manolo is sorry to inform his friend that he agrees fully with this trend toward the be-wedged shoes of chunkiness. Indeed, the best of the new wedges can be fun and flirty and something even the most fashionably primordial cavelady and her sister both might enjoy wearing. Thus the Manolo holds aloft the Ten from the Cynthia Rowley as the example of the wedge that is very much worth the buying. Indeed, it could provide the wearer with the wonderfully wedgeful spring. Manolo says, despite the misadventures with the Tupperwear, the shoes of the Cynthia Rowley they are usually worth the wearing. For the example, the Manolo he saw yesterday this shoe in the black on the foot of the super fantastic girl in the cashmere sweater and the a-line skirt. It was the smart retro look, one that would stand out at the office, yet still be perfectly demure. Manolo says, Cynthia Rowley and Tupperware? Manolo says, this wedge from the Cynthia Rowley with its deep, subdued brown color and rich leather, it brings to the mind of the Manolo the sort of shoe worn by the Katherine Hepburn in the 1940s; handsome, strong, and yet still feminine and very alluring. This, it could be worn with the retro wide-leg trousers and the short jacket to great effect. Manolo says, the Manolo he woke up this morning in the mood for the wedge. 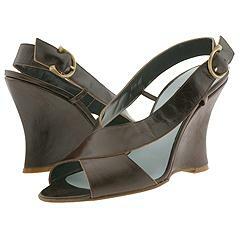 This one from the Cynthia Rowley, with the rich suede, it is more elegant than the usual sort of the wedge sandal, no? 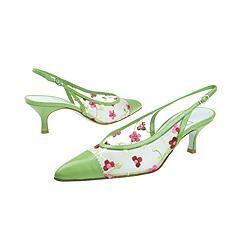 Manolo says, this green slingback with the mesh and the flowers, it would be perfect to wear to attend the afternoon wedding, perhaps with the sheath dress of the celadon. This one with the mesh and the flowers, it would be for the wearing in the spring evening with the little black dress, or even with the jeans for the clubbing. 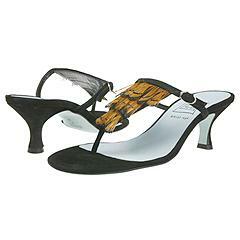 Manolo says, this simple, graceful shoe from the Cynthia Rowley, it has the understated ornamentation of the feathers on the t-strap. It is pretty no? 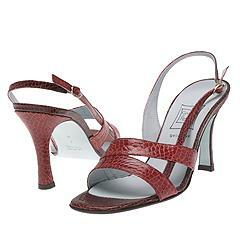 The Cynthia Rowley, she calls this shoe the “Tibet”. Do not ask the Manolo why this shoe it should be called the Tibet. He does not know. 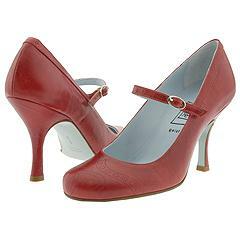 Manolo says, this shoe from the Cynthia Rowley, it has the very flattering and attractive lines, the beautiful curves. This shoe it would be like the showcase for your feets. Even the better, they are on the sale, saving the smart shopper more than $100 of the American dollars. It is also available in a springtime turquoise that the Manolo finds strangely compelling. Of the course, there are many such bargains available at the Manolo’s Basement of the Bargains.